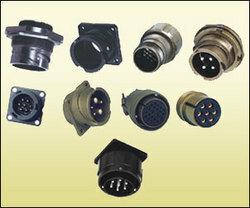 Manufacturer and retailer of circular connectors, thread-coupled connectors, tri- start connectors, back shells, cable harness, fiber optic connectors etc. 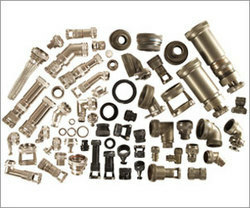 amphenol interconnect india pvt. 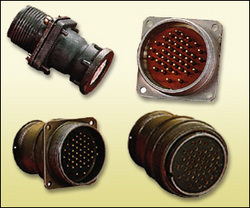 Ltd. Tri-start mil-c-38999 series iii connectors offer the highest performance capabilities for both general duty and severe environment application. 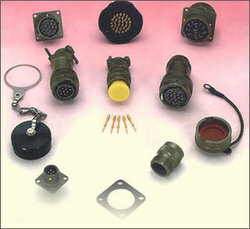 Derived to meet the requirement mil-c-38999 series iii requirements,the connectors are qualified by defence standard joint services specifications jss,certified by the electronic components standaridisation organisation (lcso), bangalore, india. 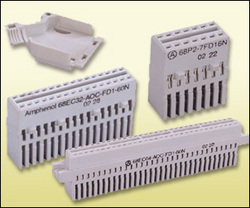 Amphenol 164 series connectors are water resistant, polarised, five and six contact electrical connectors for use in low voltage audio frequency circuits and applications. They employ three-point bayonet coupling for quick disconnect and self - wipe contact. 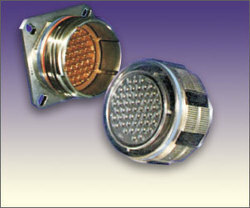 Although designed for use in communications equipment, these versatile connectors, have been successfully adapted for use in numerous industrial, scientific and educational applications. termination for wire gaused 24 to 28 using self stripping connections. 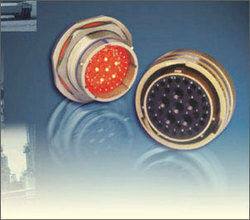 3 types - 2x7, 2x16 and 2x32 receptacle connectors. 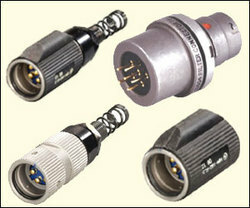 These connectors have been developed to provide a rugged heavy duty interconnection, where size is not a limited factor and large gauge wires can be used because of ribbon contact principle. 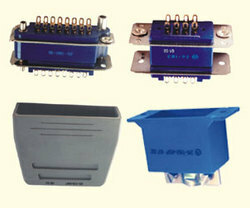 These connectors have excellent performance features like easy mating, positive contact pressure and self cleaning action. These connectors are polarised. 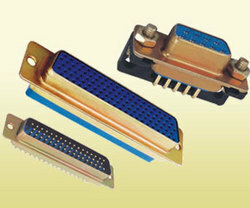 these connectors have been developed to provide a rugged heavy duty interconnection, where size is not a limited factor and large gauge wires can be used because of ribbon contact principle. These connectors have excellent performance features like easy mating, positive contact pressure and self cleaning action. These connectors are polarised.